Saint Basil’s Cathedral is rooted strategically at the heart of the capital city of Russia, Moscow. In particular, this was built as long as 7 years between the year 1554 to 1561. This cathedral has an amazing architecture that is enough to take our breath away! In conclusion, there is no other structure that can compare to Saint Basil’s Cathedral that can stun you away! For more info regarding another interesting place in Moscow, please refer to the post below: 5 Famous Place in Moscow, Where Are They in Russia? 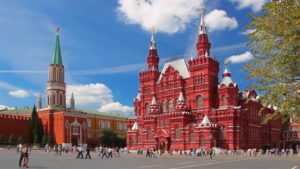 Still haven’t got enough of Moscow, you should also make a stunning stop at Kremlin! It is a definite check-list for anyone who is making a stop at Moscow. This 250 acres ground covers whole day itineraries as it gave travelers the non-stop thrilling eye candies. Furthermore, do stop at Assumption Cathedral, Ivan the Great Bell Tower Tsar Cannon & Bell. Others like Archangel Cathedral, Annunciation Cathedral, The Armoury and Tomb of the Unknown Soldier are equally important too. 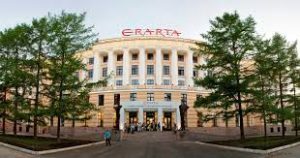 Erata Museum of Contemporary Art is recognized as Russia’s largest private art museum in the country. This museum has place Russia to the next level for authentic arts. Erata Museum of Contemporary Art is situated at St Petersburg city. Artworks that was designed decades ago or presently was placed as exhibits for gazing and selling. Generally speaking, get ready to be stun and lost in this city where art is the main culture. 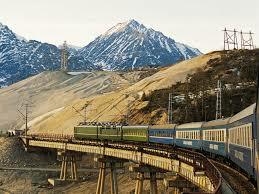 The most stunning and longest railway system in the world, the Trans-Siberian Railway. It can be caught from Moscow till Vladivostok and the journey also brushed along China and North Korea. This railway has begun constructed in 1891 till 1916. Furthermore, a lot of young thrill-seeking adventurers choose this vacation as overnight train accommodation from one stop to the next. The train itself also offers many features of carriage and cabin equipped with bathrooms and sleeping place. This stunning spot actually connects with number 4 during your hop unto the Trans-Siberian Railway. In addition, you can make arrangement to stop at Lake Baikal where it is famous for its deepest and oldest lake on Earth! Not only that, 20% of the world’s fresh water actually sources from Lake Baikal. This is because of its unique and strategic location in Siberia. Visitors can actually come and stay at resorts to be amazed on its own stunning beauty. In the deep Caucasus Mountain Range, the grand and stunning Mount Elbrus was conquering the belt. 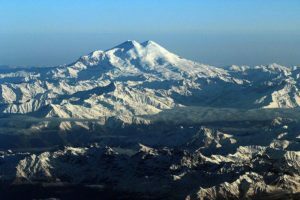 Mount Elbrus was the highest summit from the Seven Summits, which is about 18,500 feet. This mountain attracts many thrill-seeking adventurers where they can come and conquer the mountain. For those who are not keen in climbing but don’t want to miss the beauty, you can opt for a cable car ride up the mountain. Other stunning mountains that are located along the Siberian ridges are the Altai Mountains. Near the Altai Mountains is Altai National Reserve which has been recognized in UNESCO World Heritage Site. Adventurers will find themselves lost in dominating mountain belts, mysterious caves and unexplored national parks. Stunning valley of Geysers is located at Kamchatka Peninsula. It is at Russian Far East. Furthermore, Valley of Geyser is considered second largest geyser ground in world ranking. Discovered in 1941 and was developed into a tourist attraction. Mainly to attract scientist or tourist who loves the wonder of the Earth nature. The next stunning number 9 destination is none other than Lena Pillars. 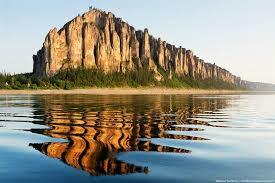 Lena Pillars situated along the banks of Lena river coupled with the natural form park. It was in Yakutia’s Khangalassky region. Not to mention about line-up of the pillars is natured form complex rocks that stretch to kilometers ahead. This natural wonders of sights are also captivating photographers or adventures to make a trip down to Lena Pillars. Last but not least is from the Solovetsky Archipelago, the Solovki Islands. This island situated along the western part of the White Sea. Additonally, it boasts with stunning beach coasts and corals. Adventurers will find themselves rewarded with genuine picturesque experience in the islands filled with deep forests.